Interference of waves is something often taught either using light as a practical example, or without a practical example. Here I want to show a couple of observations as well as a simple experiment. When talking about waves, it is often difficult to explain that wave heights of different components of a wave field can be added to each other to give a resulting wave field, but that each of those components continues to travel with its own direction and speed and comes out of the wave field basically unaltered. 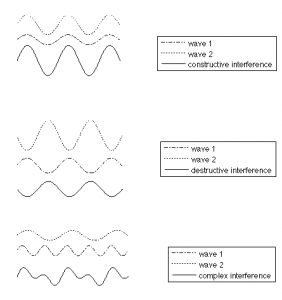 Students learn about constructive, destructive and complex interference (see image below), but it is hard to realize that those interactions are only momentary and that waves come out on the other side without having changed their shape. Constructive, destructive and complex interference of waves. In the ocean or on lakes or rivers, you are sometimes lucky enough to observe interference of waves. At a lighthouse in the southwest of Iceland, I took the image below: Two distinct fields were meeting each other at an almost 90 degree angle, interacted and left on the other side still clearly recognizable. Two wave crests meeting at approximately 90 degree angle. The waves met, interacted, and left the area of interaction. Watch the movie below to get an impression! Of course, it is very hard to plan your course such that you happen to observe this out in the “real world”. But interference of waves is so easy to set up, in any pool or tub of water! 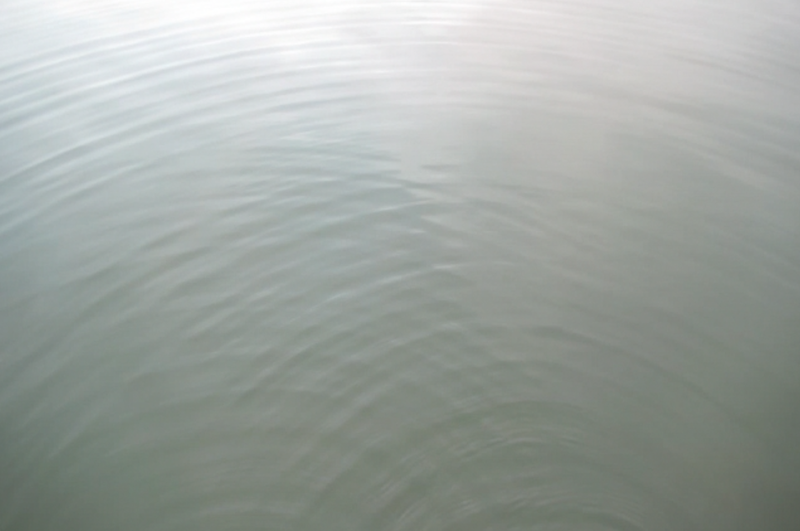 If your body of water is very small, you can even create waves with only one source and have the reflection from a wall interfere with the “original” wave (actually, you’ll probably have to, because otherwise the reflected waves will mess with the ones you are creating). Check out the movie below! This is so easy to do, yet so impressive if you have never observed it before. This entry was posted in demonstration (easy), hands-on activity (easy), observation and tagged interference on July 27, 2018 by mglessmer.